Love is like a beautiful butterfly, and now you can catch it and share it with your baby shower guests! 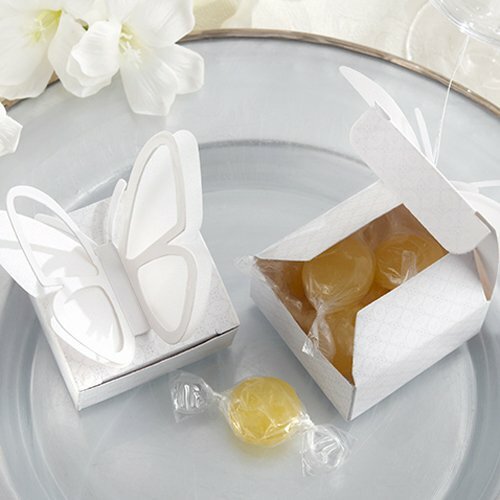 These contemporary favor boxes are made from high quality cardstock and vellum and feature a laser-cut butterfly perched on top. Fill each box with flower seeds or your favorite sweets for a favor your guests are sure to love. Boxes are shipped flat, some minor assembly required.